The shooting of the two Jaffna University students is a tragedy just waiting to happen. During the last few years tension between the armed forces and the general public was on the rise. Reluctance of the armed forces to release occupied lands belonging to Tamil people and failure to dismantle the numerous army camps in built up areas even after the war ended 7 years ago led to friction and despair. It is claimed the two students failed to stop at the check point when ordered to do so. That may or may not be true, but within hours the Police headquarters described the death of the two students aged 23 and 24 as a fatal motorcycle accident. Police claimed that the two students had hit a wall and died of serious injuries. This version turned out to be a total lie by the police after the autopsy revealed that at least one of them was killed due to a gunshot injury. Under Mahinda Rajapaksa’s dispensation the police would have been cleared of any wrong doing. Or even decorated for their bravery like the shooting of five students at Trincomalee by soldiers on January 2, 2006. Because of the regime change, President Maithripala Sirisena intervened directly to stop Police covering up the murder of the two Jaffna university students. He gave orders to interdict the five Police officers involved in the shooting. He also gave orders information department to issue a fresh statement setting the record straight. “Five Police officers have been arrested and immediately interdicted,” the information department statement said contradicting Inspector-General Pujith Jayasundara’s headquarters. There was no immediate comment from the police chief following the presidential intervention to ensure justice to victims. Ironically, the shooting took place a day after Ms. Izsak-Ndiaye, UN Rapporteur and human rights expert, asked Colombo to demonstrate its commitment to protect minorities. Most agree that even if the two students were drunk and they did not obey police orders to stop as alleged by the Police, the shooting is totally unwarranted and very high handed. Naturally, the killing of the students has evoked strong reaction from not only the students, but also from all sections of the Tamil community. There were peaceful demonstrations not only in the North even in Colombo. There is even an ill-advised call for a hartal which will only inconvenience the traders and the general public. The situation would have got out of control, if not for the prompt and decisive intervention by President Sirisena himself by ordering the interdiction and arrest of all the 5 policemen involved. 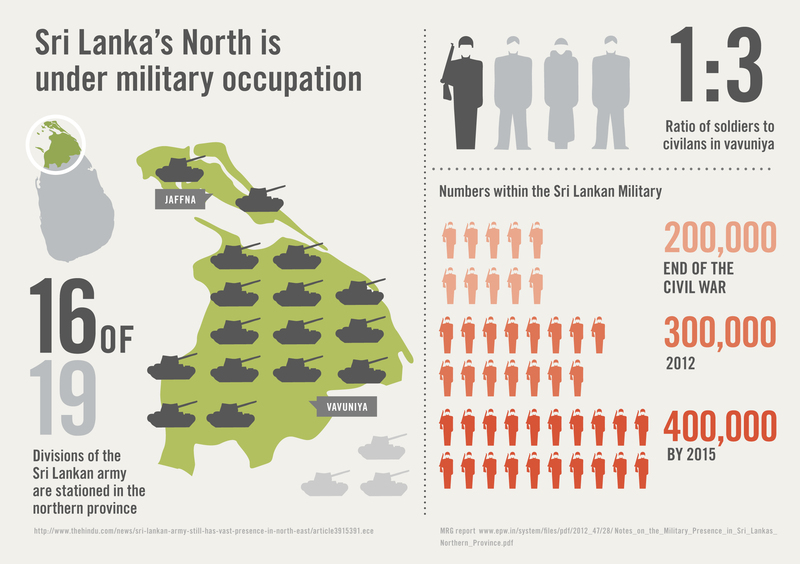 Unfortunately, even after the regime change, the Sinhalese dominated armed forces consider the Tamils as second class citizens. We saw this during the clash between the Tamil and Sinhalese students at the Jaffna University last July, 2016. The army sided with the Sinhalese students by providing food and refreshments. A National army of a country are proud to serve the country by defending its borders, democracy and sovereignty. Regrettably, this is not the situation with the armed forces of Sri Lanka. The politicised members of the armed forces do not think they have to serve the country as a whole and not a selective group. Human Rights activists and critics of the government have pointed out that a climate of impunity has prevailed for decades where the armed forces can kill Tamils and get away with it easily. The shooting of 5 students on January 2, 2006 sitting in the Trincomalee beach to while away their time was a cold blooded murder. Immediately after the shooting President Rajapaksa promised donor co-chairs that abuse of power by security forces would not be tolerated under any circumstances and that perpetrators of the Trincomalee killings would face justice, irrespective of rank. But he or his government never went after the murderers, namely members of the army intelligence /Naval Special Forces. The brutal assassination of 17 aid workers (16 Tamils and 1 Muslim) by Naval Special Forces on 4th August 2006 also remains inconclusive. Known as Muttur Massacre, the said aid workers were from the Action Contre La Faim, a Geneva based NGO. On 19th November 2006, 5 students (4 Tamils and 1 Muslim) from the Thandikulam Agricultural College near Vavuniya were shot and killed by a police officer and an Army soldier. Earlier on that day, five Army soldiers including an officer were killed when suspected LTTE carders exploded an improvised explosive device (IED) targeting a military truck carrying soldiers. According to media reports, security forces arrived in the area after the explosion, assaulted the college students and shot at some, killing five. To deflect international criticism over its poor human rights record, President Mahinda Rajapaksa appointed a Presidential Commission of Inquiry (COC) in November, 2007 to investigate and inquire into 16 alleged serious violations of human rights. He also appointed an International Independent Group of Eminent Persons (IIGEP) vested with a wide mandate to observe all investigations and inquiries conducted by and on behalf of the COC inquiry. But the members terminated their observation role with effect from April 1, 2008 complaining lack of cooperation from the Attorney General Department. The IIGEP in its public statement dated March 8th 2008 stated, inter-alia that the proceedings of inquiry and investigation have fallen far short of the transparency and compliance with basic international norms and standards pertaining to investigations and inquiries. 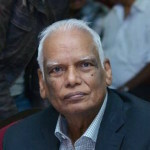 The eight-member Commission headed by retired Supreme Court Judge Nissanka Udalagama had its mandate abruptly ended in 2009 after completing only seven of the cases including above mention Muttur Massacre and Trincomalee killings. On June 16, 2009 President Mahinda Rajapaksa dissolved the COC that he appointed two years before to investigate human rights violations. This move was seen as another demonstration by the government of its contempt for legal and democratic rights and opposition to any probe of the abuses committed by its security forces and their associated paramilitaries. It is a known fact that since the beginning of Sri Lanka’s civil war in 1983, successive governments have consistently failed to adequately investigate or prosecute those in the security forces responsible for serious violations of human rights and international humanitarian law. In cases of enforced disappearances, torture, indiscriminate attacks, and targeted killings, successive Sri Lankan governments have consistently failed to hold accountable members of the police or military who commit serious crimes and punish those responsible. Yahapalanaya government committed to good governance has not taken effective steps to investigate murders/disappearances that occurred during Rajapaksa’s rule. At best it is only tinkering with the whole judicial and criminal process. President Sirisena mounted a scathing attack against the Bribery Commission, FCID and CID and Director General of the Commission to Investigate Allegations of Bribery or Corruption (CIABOC) at the ‘Sathviru Sanhinda’ programme held at the Sri Lanka Foundation on 12th October 2016. By any standards, President Sirisena’s outburst against public officials was ill-advised and ill-timed. Castigating public officials who lack means, opportunity and power to reply was an act of cowardice. His speech reveals that the all powerful armed forces are untouchable even under the promised Yahapalanaya. CIABOC had been heavily involved in prosecuting intelligence officers and other military staff for wartime fraud, mis-use of power and corruption under the previous regime of Mahinda Rajapaksa. President Sirisena said he had informed Prime Minister Ranil Wickremesinghe and the Cabinet of Ministers at a special meeting that ‘if the CID, FCID and the Bribery Commission act according to a political agenda’ then he would be compelled to take some tough decisions. He was in particular angry that former members of the armed forces have been arrested over allegations of bribery and enriching themselves at public expense. J.C.Weliamuna observation cannot be dismissed out of hand since he played a major role in changing the government in January, 2015. Solemn promises given by President Sirisena, Prime Minister Wickremesinghe and Minister for Resettlement D.S. Swaminathan that such welfare centres will be closed within 6 months from January, 2016 and the affected people will be resettled in their ancestral lands failed to materialise. Later, the dead line was extended to August, 2016 but that too came and went. In September, 2016 President Sirisena assured that the land issues in the North will be settled within the next three months, and the government has set up a special task force to expedite the resettlement process in the North. Minister of Foreign Affairs Mangala Samaraweera says all lands will be released by early 2017! Arunachalam Kunabalasingham, president of the Valikamam North Rehabilitation and Resettlement Committee, a body representing IDPs, is critical of the government’s approach towards the displaced. A large number of the IDPs are from places such as Myladdy and there is a 12 km long coastline still under the control of the security forces. . “Without returning the Myliddy fishing harbour and providing free access to the coastline, the government will not be able to achieve much” he asserts. Out of a total of 6381.5 acres of land occupied by the armed forces in Valikamam North, less than 2,000 acres have been released so far. The balance 4,381.5 acres continued to be occupied by the army. As a result people are still languishing in 32 IDP camps waiting re-settlement. According to data collected by DSs 1,158 families (4,238 persons) remain in these camps. They are located in Thellippalai, Uduvil, Sandilippai, Koppai, Nallur, Karaveddy and Point Pedro DS divisions; the majority of them belong to the socially dis-advantaged groups. To rub salt to the wound while these unfortunate people rot in squalor and poverty, the army has built luxury restaurants, golf courses, health resorts, cantonments, swimming pools and even engaged in farming, fishing and dairy. The army is seen playing cricket in land owned by the IDPs this side of the high security fence put up by the army. And the army top brass says 1,000 acres out of the 4,381.5 acres will never be released for security reasons. The question is whose security? Certainly not the security of the people. Moreover statements like “not an inch more than the 500 acres will be released to the (Tamil) owners” is inflammatory and chauvinistic. It gives the impression the army is breathing over the neck of the government and they are not under civilian control. During the war, Mahinda Rajapaksa claimed “the army is not waging war, but carrying out humanitarian operations to liberate the Tamil people from the clutches of the LTTE.” Now the LTTE has been defeated and people liberated, then what is the rationale for depriving the people of their lands citing security as a reason? Why have the liberators become the predators of Tamils? Why the Tamils en masse rejected Mahinda Rajapaksa at the polls, not once but many times? Though there was a change of government the mind-set of the armed forces has not changed for the better. They consider the Tamils as a conquered people who have no equal rights. The victory parades held under Mahinda Rajapaksa reinforced such a mentality. President Sirisena’s recent utterances are making the situation from bad to worse. Like his predecessor he too is opposed to foreign judges and investigators getting involved in the war crimes inquiry. He does not want members of the armed forces who violated the rules of war punished. When asked to comment on the documentary “No Fire Zone” that claimed the Sri Lankan government targeted civilians during the civil war, President Sirisena told the BBC that he “doesn’t believe” war crimes allegations. This after co-sponsoring the US resolution adopted by the UNHRC on October 1, 2015. This volte- face may not sit well with US and other countries that supported the resolution. (1) Inadequate minority participation in decision-making structures. To build trust in governance and transitional justice mechanisms and to foster shared ownership over these institutions, it is critical for minorities’ views to be included in decision-making processes. (2) Inadequate minority representation in state institutions. For minorities to trust historically Sinhala-dominated state institutions there must be greater diversity in the government, provincial offices, law enforcement, armed forces, education sector, and health institutions. WAN welcomes the special reporter’s suggestion to employ community liaison officers to these state institutions as a first step to build trust. (3) Inadequate institutional protection of minority rights. The Human Rights Commission and other institutions must be strengthened and allowed to act independently to protect minority communities. WAN welcomes the special reporter’s call for an Independent Commission on Minorities to specifically monitor laws and policies and encourage programming to promote equal rights. Victim and witness protection measures must also be strengthened to promote engagement with the courts and transitional justice mechanisms. (4) Inadequate language access. Tamil and Muslim communities struggle with not being able to use Tamil in speaking to local authorities, judicial officers, police, Army, and hospital staff. This is a key concern as well for the transitional justice mechanisms; there must be sufficient Tamil-speaking staff to build trust and promote engagement. (5) Inadequate demilitarization, release of detainees, progress in disappearance investigations, and land return. The government must show its commitment to minority rights by expediting the pace of demilitarization, releasing or charging the remaining security detainees, returning civilian land still held by the armed forces, and transferring civilian powers exercised by the military to civilian authorities. The government should also demonstrate progress in good faith by promptly investigating the disappearance cases currently pending before the courts. The death of 2 University students by shooting would not have taken place if there was enough trust and understanding between the Tamil population and the Police. There are only four leaders capable of lifting the country out of the political and economic quagmire it has sunk. They are President Sirisena, Prime Minister Ranil Wickremesinghe, Opposition Leader R.Sampanthan and ex-President Chandrika Kumaratunga Bandaranaike. These leaders must completely break with the sordid past and enact a progressive constitution that will prevent a repeat of the civil war that ended in 2009.